Yes the day dawned bright. Lovely and sunny and yours truly trooped up a nearby hill with the KX3 and buddipole ready. At 6.45pm, as I am told is tradition for this particular competition, it chucked it down. So I had to say goodbye to the buttercups and cows and get into the car. 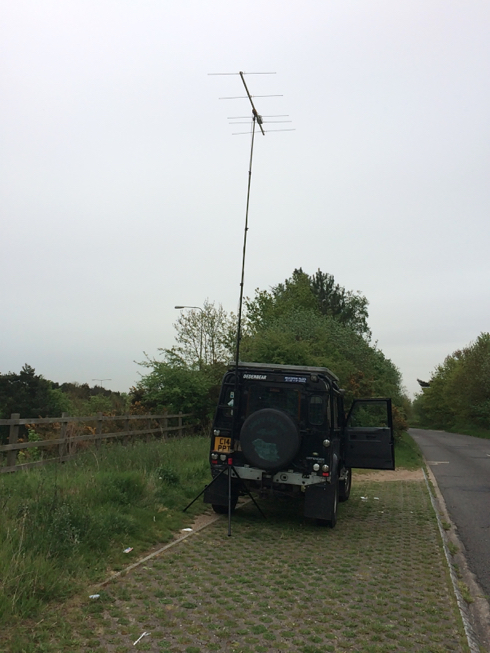 With the buddipole lashed to the back of the Landy I had a go but managed 6 poor QSO's. 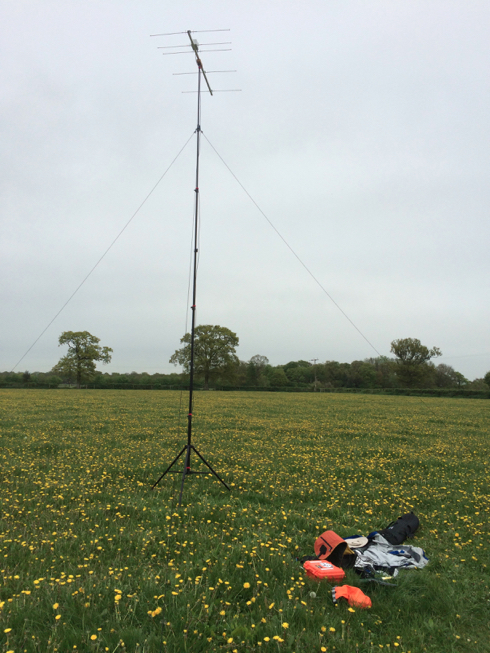 I had betted on some sort of propagation to give me a chance on 2M SSB but with flat conditions and only 2W from the KX3 I was not even in with a chance with the FM boys on their verticals. So I need to get a rig installed in the Landy for these sorts of low power HF comps and luckily now the 991 has taken over from the 7000 in the GoBox it won't be long before we have that in and working. Nevertheless is was great fun and just a pity more did not hide under and umbrella to give it a go. Mind you can you blame them with the weather!